At one time, the great gray wolf was the most widespread animal on the planet. We've all heard how these legendary hunters fell prey to human advancement and came close to extinction. Now wolves are slowly growing in number across North America once again. 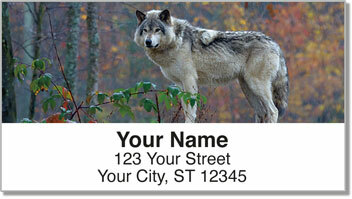 They are slowly being removed from endangered species lists in states where their population is bouncing back. 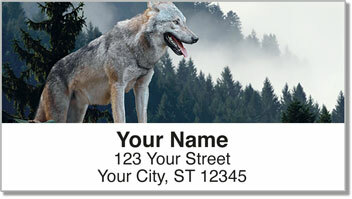 Gray Wolf Address Labels from CheckAdvantage are a reminder that these wild animals can still be affected by the decisions we make as humans. A convenient self-adhesive backing lets you simply peel and stick your new labels on every piece of mail you send - giving it an intriguing look! 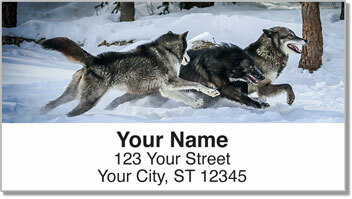 Order your own Gray Wolf Address Labels today! 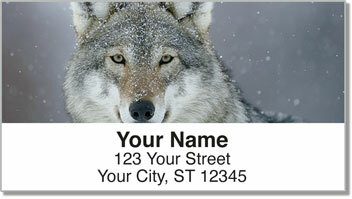 You can also get this wildlife design on set of matching personal checks.